Current endeavor was aimed towards monitoring percent weight build-up during functional coating process on drug-layered pellets. Near-infrared (NIR) spectroscopy is an emerging process analytical technology (PAT) tool which was employed here within quality by design (QbD) framework. Samples were withdrawn after spraying every 15-Kg cellulosic coating material during Wurster coating process of drug-loaded pellets. NIR spectra of these samples were acquired using cup spinner assembly of Thermoscientific Antaris II, followed by multivariate analysis using partial least squares (PLS) calibration model. PLS model was built by selecting various absorption regions of NIR spectra for Ethyl cellulose, drug and correlating the absorption values with actual percent weight build up determined by HPLC. The spectral regions of 8971.04 to 8250.77 cm−1, 7515.24 to 7108.33 cm−1, and 5257.00 to 5098.87 cm−1 were found to be specific to cellulose, where as the spectral region of 6004.45 to 5844.14 cm−1was found to be specific to drug. The final model gave superb correlation co-efficient value of 0.9994 for calibration and 0.9984 for validation with low root mean square of error (RMSE) values of 0.147 for calibration and 0.371 for validation using 6 factors. The developed correlation between the NIR spectra and cellulose content is useful in precise at-line prediction of functional coat value and can be used for monitoring the Wurster coating process. FDA. Quality by design for ANDAs: an example for modified release dosage forms. 2011. p. 1–161. Available from: http://www.fda.gov/downloads/Drugs/DevelopmentApprovalProcess/HowDrugsareDevelopedandApproved/ApprovalApplications/AbbreviatedNewDrugApplicationANDAGenerics/UCM286595.pdf Accessed 23 May 2016. ICH/USFDA. Pharmaceutical Quality System Q10. 2009. http://www.fda.gov/downloads/Drugs/…/Guidances/ucm073517.pdf Accessed 23 May 2016. ICH Expert Working Group. Pharmaceutical Development Q8. Vol. 8. 2009. p. 1–28. http://www.ich.org/fileadmin/Public_Web_Site/ICH_Products/Guidelines/Quality/Q8_R1/Step4/Q8_R2_Guideline.pdf Accessed 23 May 2016. ICH Expert Working Group. Quality Risk Management Q9. 2005 p. 1–23. http://scholar.google.com/scholar?hl=en&btnG=Search&q=intitle:Quality+Risk+Management+Q9#0\ http://www.cls.co.at/downloads/ich-q9---quality-risk-management.pdf Accessed 23 May 2016. FDA. Pharmaceutical CGMPs for the 21s Century - A risk-based approach. 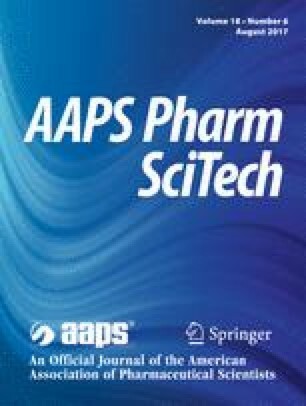 2004. http://www.fda.gov/Drugs/DevelopmentApprovalProcess/Manufacturing/QuestionsandAnswersonCurrentGoodManufacturingPracticescGMPforDrugs/UCM071836. Accessed 23 May 2016. FDA. Guidance for industry PAT — a framework for innovative pharmaceutical development, manufacuring, and quality assurance. 2004 [cited 2016 May 23]. p.16. http://www.fda.gov/downloads/Drugs/GuidanceComplianceRegulatoryInformation/Guidances/ucm070305.pdf. Smith-goettler BB, Gendron CM, Macphail N, Meyer RF, Phillips JX. NIR monitoring of a hot-melt extrusion process. Spectroscopy. 2014 [cited 2016 Jul 5]. p. 1–8. Available from: http://www.spectroscopyonline.com/nir-monitoring-hot-melt-extrusion-process.